Located at 2720 N Silverbell Rd. just north of Grant Rd in Tucson, Silverbell Self Storage is a convenient 5-minute drive away from Interstate 10. Our location on the Silverbell Corridor and proximity to I-10 makes us an easily accessible storage facility for residents and businesses located in communities on the west side of Tucson near Starr Pass, Gates Pass, the Tucson Mountain Reserve, A Mountain (Sentinel Peak), and the Flowing Wells School District. Silverbell Storage is located less than 5 miles away from the University of Arizona’s main campus and is even closer to Pima Community College’s Downtown and West Campuses. Are you a student who needs to store belongings that take up too much space in your dorm or off campus housing? Maybe you need a place to put your stuff over summer break or while you’re away during study-abroad? 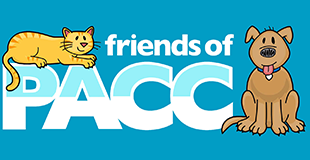 We are the perfect place for you to store and easily access your belongings when you need them. 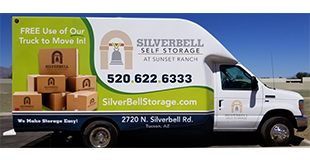 Silverbell Storage is less than 5 miles from the Historic 4th Avenue area and the Downtown Tucson area which are the urban hotspot melting pots of the city. Whether you own a business or live in these areas, our facility provides a great secure location for you to store and easily access your belongings. Contact us to learn more about our free move-in truck and other facility amenities.